An olfactory confit of irresistible ingredients, Oud Délice de Robert Piguet is like hunger in a bottle. This epicurean dream immediately captures the fragrance aficionado, seducing with mystifying deliciousness. In a single veil the wearer becomes an object of craving and those around them,their ravenous admirers. From its bright beginning, Oud Délice creates a mouthwatering effect with caramelized amber, miel de Provence and fig. The luscious palette then lingers into Oud Piguet a proprietary blend of resins and woods. Indonesian Patchouli and Haitian Vetiver lay a warm path to the scent's foundation—an exotic recipe for yearning. Escape and seek a romantic encounter with this exotic elixir. 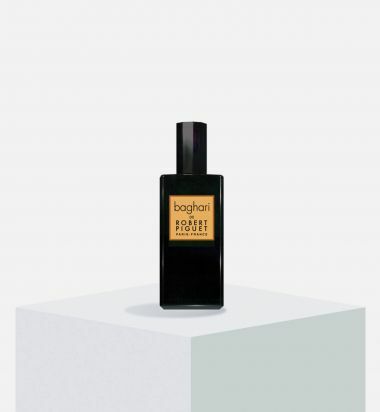 Baghari, warm and alluring, blends a bouquet of rose, jasmine, iris and fresh citrus with powdery amber and natural vanilla. Visa de Robert Piguet is an invitation to an adventure, first introduced in 1945. 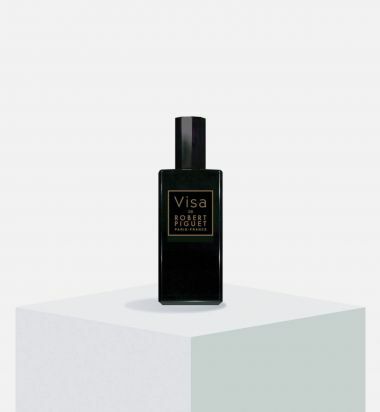 Visa captures the imagination with the exotic notes of ylang ylang, bergamot and pear juxtaposition with sandalwood and gourmand leather. A fragrance that offers encounters of enchantment. 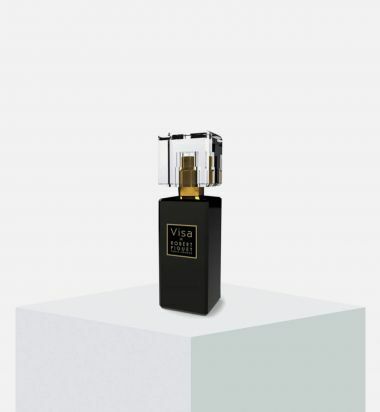 Luxury French fragrance house Robert Piguet Parfums embarks on an olfactory adventure with V. Intense, an explosive concoction of seduction and mystery. Inspired by the complexity of one of Piguet's classic offerings, V. Intense is a pilgrimage to the brand's roots, a vivid expedition to parts unknown, symbolized by the scent's audacious pairings. 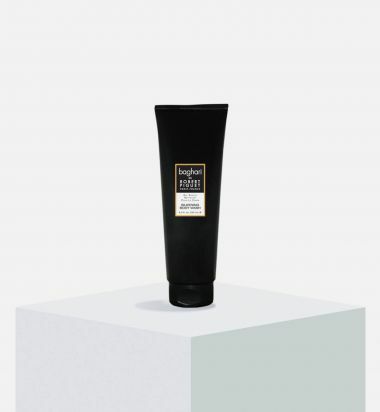 V. Intense opens with a burst of Bergamot, pear and saffron, a whirling eddy of citrus and spice. Soft rose, sweet ylang ylang and sumptuous plum unlock the daring core, a dalliance of fruit and floral that lays a warm, exotic path to the fragrance's denouement. 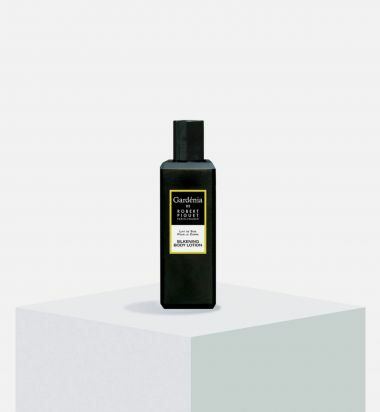 Patchouli, incense, sandalwood and white musk create a magical dry down, as transporting as it is visceral. As with music, a great perfume is more than the sum of its notes. However, in contrast to musical melody, the quality of perfume notes is essential for a memorable experience. Notes de Robert Piguet is a tribute to some of the most exquisite materials in the perfumer's palette, a fragrance of exceptional harmony and beauty. The high pitched prelude of bergamot and clary sage sets the stage for the gentle aria of orange flower and geranium. The exhilarating start leads to the sonorous timbre of oakmoss and tonka bean. The dark tones of costus further deepen the composition, while the green clarity of vetiver lends it an elegant counterpoint. Robert Piguet Parfums invites you for a magic carpet ride to Morocco with Casbah, an evocative and mesmerizing fragrance. Inspired by Marrakech, Casbah blends the warmth of Moroccan spices with the austere elegance of Atlas cedar wood and rounds out the composition with cool iris. The warm whispers of black pepper and nutmeg introduce the delicate green melody of angelica root. The effervescent opening then softens into a heart of iris embraced by tobacco leaves. Cedar wood provides a polished backdrop for the intricate smoky floral accord, while the incense wrapped around the salty vetiver makes for a smooth finale.